Success | Life is a Crooked and Varied Path. Get On It! Life is a crooked and varied path. Get on it. That is what I want to tell people. I’m not kidding when I say that a funny thing happened on the way to quitting smoking; I got a life. I’m dead serious. Before I quit smoking I was on a constant run of being half-assed and not quite right. Oh, I did a lot. The more time got short the more often I had to just make do. By the time I could catch my breath I was off planning the next birthday, the next holiday, the next girl scout meeting, the next trip. I was always running from one job to the next trying to please multiple leaders with my work ethic. I usually held two or three jobs in trying to manipulate my schedule. First to avoid paying for day care then later to be everywhere the kids were. I’m a B personality who worked in highly competitive atmospheres. I lived for years on the edge of yelling, “sit down and shut up!” But I couldn’t put my finger on what was really going on and instead I whined, “That’s not fair.” I knew those co-worker were alike and I was different so I had to fix me to keep up. And I tried, because I wasn’t going to let them stop me. The more I tried, the more I felt like they shoved me aside, or at least held back. My generation was to take the baton of feminism and be a success with it because all the generations before me had fought hard and won equality. Somewhere along the line I realized I had become this anti-feminist, feminist. I did what I was told and I didn’t know why it wasn’t working! I was supposed to be happy and all I could see was that I was half-assed and not quite right. Well as the way change usually happens, it all came to a screeching halt and I was the one who sat down and shut up. “young and twenty” recently posted an axiom “you’ll never understand the way things pass until you step aside.” That is exactly what I did. I gave myself several quiet days and went about my day as I watched and learned. There were two experiments that I did. To quit smoking I started off with False Quit Dates. I’d set a quit date which would bring up an excuse to quit quitting and start smoking again. So I’d work on that excuse and then set another false quit date. I kept setting them until there was nothing left but the real quit date. And I made it. I quit smoking. In the middle of all that I stopped and worked on my fruity experiment. As a kid I got mad at my Grandma for trying to teach me the Fruit of the Spirit Bible verse as I was having trouble memorizing it. Well because of that I recognized it when I saw it as an adult, and made a note of the verse and where I could find it. One Christmas I saw Love, Joy, Peace everywhere, when it struck me … What if, you can’t get to the love, joy, peace until you enact the Patience, Kindness, Goodness, Faithfulness, Gentleness and Self-control? ??? I stopped the False Quit Dates and I took one virtue a day and used it against anything that came up in my day. I started with Patience. Turned out I learned some things and I wanted another day. Then I took another day and did it with kindness. Turns out kindness only works when you are kind to yourself too, this was no Random acts of kindness exercise. The difference was, I wasn’t putting things out there. I was responding to events that came my way and not all those events were kind. You can care without worry. I am not naughty, naughty, naughty. I am an adult. Be responsible without being held accountable. Life is not fair. Quit trying to make it fair. Don’t rely on motivation. I work on my non-motivation skills. Don’t make douche bag choices. I am sharing information and I am a writer marketing my books about my experience. My Dream Reader is someone who also has an interest in these topics. I’m starting this new year off the way I want live this year. I took today off so I can write without going into work. I already did dishes and some laundry, later I will do some dusting and vacuuming. I’m posting to my blog today. I’m working on my Virtual Tour Blog Award which is due on January 5th. I will be trolling the internet for 4 nominees. It is very introspective. I enjoyed working on it. I will spend a substantial amount of time on my next book Faithfulness. I got enough sleep last night even while ringing in the new year, so I didn’t over-imbibe and I ended 2014 as quickly as possible and went to bed soon after midnight. I’m cooking a decent breakfast after this post. I will walk/run 3 miles with a high of 27 and a low of 8. And I will spend time with family and friends today. I don’t think I could ask for a better day. Isn’t that what everyone wants? A little work; a little fun; good sleep; some good food; and a little socializing. Don’t get me wrong. I’m not expecting simplicity. I’m expecting to be WoWed! I want to be dazzled by life! I want to be entertained in the moment! GOOD entertainment! For the last 7, 8 maybe 9 years I have hoped for the best and put up with mediocre. My recession is over this year. At least as much as in my control. I expect A LOT and I’m going to go out and get it. Man, I hope I’m on the right track because I am expecting God to me half way. Well, I have all year to figure it out and the year already began. In many ways this has been a crappy year and I am eager to put it to an end. I suppose it is a matter of perspective because I have met most of my goals. Last year, I was going to be tiny by Christmas. Well I’m not tiny, but I think I have found the problem and fixed it. I went to the chiropractor and got everything back into alignment. I fixed my digestion so I don’t have heartburn anymore. I increased my exercise. I rode my bike like crazy this year. I also started running which is like huge leaps and bounds from someone who has always HATED running. I have fallen out of routine since winter set in but I end the year not any bigger than the last. That is success! Usually I find another 10 lbs over the winter. Not this year! Tomorrow I start a new goal; 3 three miles a day, everyday; don’t care if it is walking or running; 3 miles a day minimum. I started a blog. I see activity daily, even on days I don’t post. Now, that is exciting. That is success. 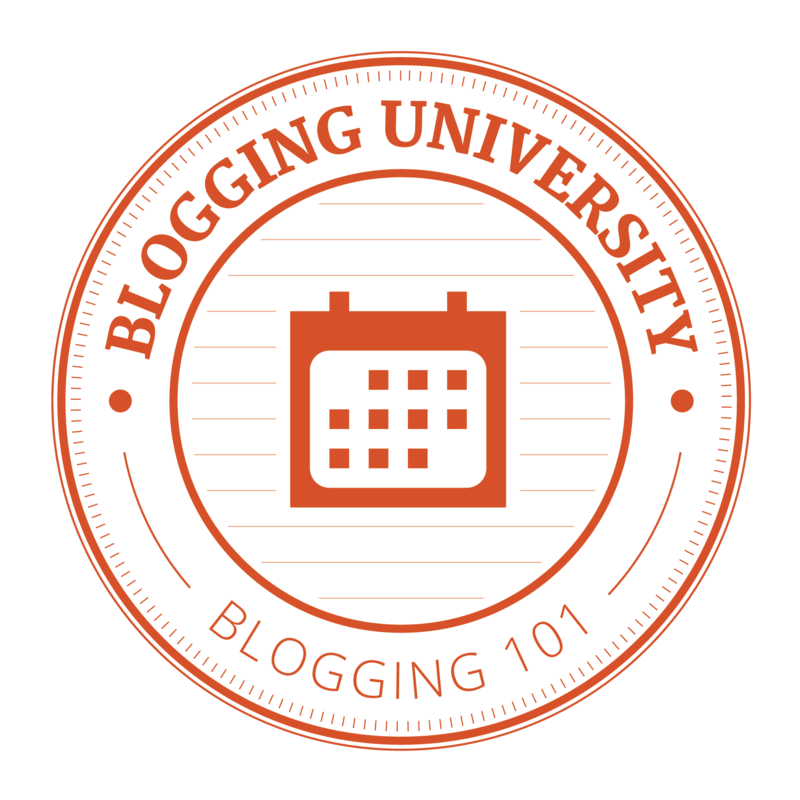 I registered for Blogging 101 in January. This time I will finish. I published 3 little books and I do see some activity in sales. For next year I want to finish the series, complete the quitting smoking book. I think I want to have that one published by Black Friday. That is a tall order. We will see where I am at next Thanksgiving. Exciting. Typically I don’t have a problem with writer’s block. Usually, I get mad that I have to stop writing and go to work. Since I’m never writing when the best ideas come, I’m always jotting ideas down and making notes. My friend at witty word smith came up with some personal notebooks for the writers association and calls them itty-bitty Brainstorm Dissipation Prevention Devices. Yeah, I need that. If a person is going to write, it’s all about capturing the idea. My phone works too. I always have that around and don’t have to rely on having a pen. Oh, I do sit in front of a screen staring at the wall or out the window. I’m trying to get the puzzles pieces to snap together. It’s frustrating to force them to work together. Especially when I know I have to stop soon and leave for my job. So here are some tips and tricks that I have in my arsenal to keep things moving. When making notes, jot down the inspiration. Date, Time, Where, People. Standing in line at the lunch counter on Tuesday with Debbie. During writer’s block, you are waiting for inspiration to show up and hold your attention. Well, revisit that place. Got a non-fiction moment with a fiction deadline? Incorporate it. If two writers come out with different results on the same topic, why not one writer come up with two different genres on the same topic. Leave it for the editor. Human form or software form; doesn’t matter. I know my grammar could make a grammar teacher cuss and induce urges to wrangle me back in, while shaking a finger in my face, “You don’t do that in front of people.” I gave up that fight and I just write things out and then post them. I always, always, do the best I can to edit my work first. Learn to love to edit. I really had to learn how to get over reading my work. Oh it is horrible. I know why actors say they don’t watch their own films. Blech! But, if I am not writing, I’m editing. This keeps my writing moving forward. If you have serious writers block… go edit your earlier work. You will still get something done. Go with your urge. Right now, I should be formatting my next book, Goodness, for a Black Friday release. I’ve fought this urge to post something on my blog since I got up. I saw today’s prompt and I couldn’t help myself. I went with my urge. Seriously, I don’t know how I’m going to push formatting for later in the day, because I know I’m going to have some wine tonight. I’m not going to format while shknockered. Even if it is just a ‘lil bit. But I know I will get it done. Always adjust your goals. I tell myself, “This is going to happen.” Goodness will be published. It seems as though I never make a self-imposed deadline. Except! If I want to get something done, it gets done. The deadline almost becomes obsolete. Example. If you write about holiday cooking and make a deadline for Thanksgiving, you’ve got to be wrapping things up about now, if you don’t make it shoot for Christmas. If you miss Christmas are you late or are you a year ahead? Don’t punish yourself. Okay, if you earn a paycheck for that holiday cooking article, you’ve got some trouble to deal with. But, I think you know what I am talking about; you have a finished article on holiday cooking and it is past the holidays. If you aren’t naughty, naughty, naughty, you might be thinking you are ready for next year. Maybe you’ll do the research to shop for a magazine to print your article. Maybe you will get a collection going and look towards publishing a book. Keep moving forward. You are doing this because you want to do this. If you aren’t doing this, you’d let other things get in the way of it. Sitting there and forcing something to come, just results in sitting there. If I have the urge to get up from my desk, I get up. I think of my best stuff, when I get up to put dishes away. Of course this leads to running back to my computer, but this is my writing time. Getting a few dishes put way is a bonus. Maybe it will create more free time to write later… during my cleaning time.